Kentucky checks all the boxes for nourishing a hemp revival. Climate suited to the plant? Check. Friendly regulations from a state willing to experiment and invest in hemp? Check. Lots of cheap land and a processing infrastructure that includes in-state decortication and CBD extractors? Check and check. So why do some agronomists fear that Kentucky has reached its hemp zenith? It’s a matter of how big the hemp market is going to get. “It’s kind of reached a peak,” said David Williams, a plant and soil scientist at the University of Kentucky, which owns several hemp plots and has done more research than any other U.S. university to study the crop’s revival. Williams was even more negative last November when he addressed a national gathering of entomologists meeting in Denver. A tough analysis, for sure. Indeed, Kentucky’s approved total acreage for hemp in 2018 is down slightly from 2017, from 12,800 acres to 12,018 acres. And though Kentucky authorized 12,800 acres for hemp last year, only about 3,200 acres of hemp were planted. Kentucky still boasts the nation’s second-largest hemp industry, threatening Colorado’s market dominance and teasing a shift in the hemp sector away from Western states to former tobacco-growing areas. Can the growth continue? Kentucky hemp insiders aren’t sure. “We’re at an inflection point, and we need to determine how hard we’re going to lean in,” said Chad Rosen, CEO of Victory Hemp Foods and president of the Kentucky Hemp Industries Association. Here’s what you need to know about Kentucky’s hemp market. Kentucky saw hemp’s promise as quickly as any state, seizing on the plant as a potential replacement for tobacco, once grown in abundance across the Bluegrass State. “If there are two sweet spots in the world to grow hemp, it’s China and Kentucky,” said Brian Furnish, president of global production at Ananda Hemp, whose holdings include 600 acres in Cynthiana, Kentucky. In fact, Kentucky’s two Republican U.S. Senators, Rand Paul and Mitch McConnell, were instrumental in opening the door for the modern-day U.S. hemp industry. 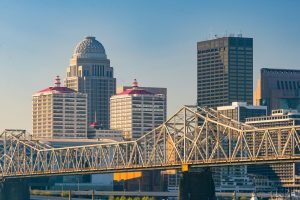 The Kentuckians steered hemp into the 2014 Farm Bill and have remained fierce industry advocates even as critics in their own party bemoaned hemp as a gateway to marijuana. Kentucky authorized hemp production in 2013, a year before the federal government did, and is thought to be the only state using Tobacco Master Settlement Agreement funds to support a hemp industry. Kentucky has collected more than $2 billion from the tobacco settlement since it was struck in 1998. Half the money goes to the Governor’s Office of Agriculture Policy, which promotes crops including hemp. Some hemp producers in Kentucky say their state’s embrace of the industry comes not in spite of its resistance to marijuana, but because of it. “There’s no confusion here. We’re a hemp-first state. We don’t get clouded with marijuana,” said Michael Joseph French, president of AgTech Scientific, a Kentucky hemp company working on a new $5 million hemp-processing plant in the town of Paris. Kentucky’s hemp growers are facing the same price pressure seen in other mature cannabis markets – the days of sky-high prices are over. About $20-$50 per pound of dried flower, depending on CBD content and quality. About 70-85 cents per pound of seed for pressing into oil. No reliable price for fiber, because the market is so small. Kentucky’s future as a hemp-market leader depends on whether the state continues to plow money into promoting the new crop, Rosen said. “They say, ‘Settlers get the arrows,’ and that definitely happened here, getting hemp off the ground and making mistakes,” he added. Rosen’s company is closing on a deal to start processing hemp in Vermont, but he sees ongoing potential in Kentucky if the state keeps putting money toward the industry. “We have incredible infrastructure available to the hemp industry,” Rosen said, “and there’s a low cost of doing business in Kentucky. Hello. I was attempting to sign up for the Hemp Industry weekly news on the linl that say’s ‘click here’, and the marijuana ‘daily’ news popped up. Can you send me the link for the Hemp weekly, and not the MJ daily please. Unless it’s the same thing, as it isn’t clear.